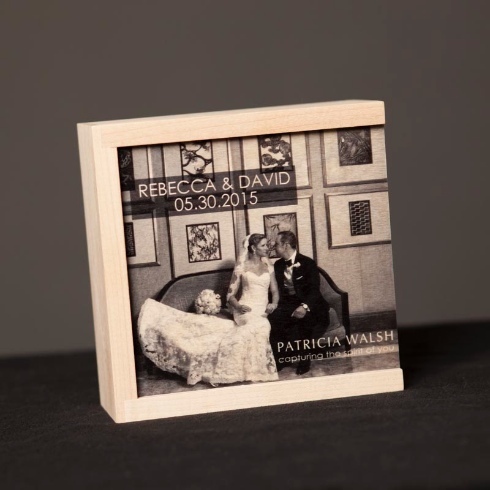 Enjoy your favorite memories as art with this beautiful wooden keepsake! These are gorgeous pieces to display on a shelf while at the same time storing files from your wedding or portrait session. Love the grain of the wood coming through the image making it one of a kind and custom designed for you! Available with the purchase of all digital negatives from your full portrait session or wedding collection. This product and more available to mak the most of your images from Patricia Walsh Photography.